ENOC members, gathered on the occasion of ENOC’s 22nd Annual Conference on ”Children’s rights and wellbeing, promoting mental health” and 22nd General Assembly meeting held on 19-21 September 2018 in Paris, France, adopted three position statements in three different areas. 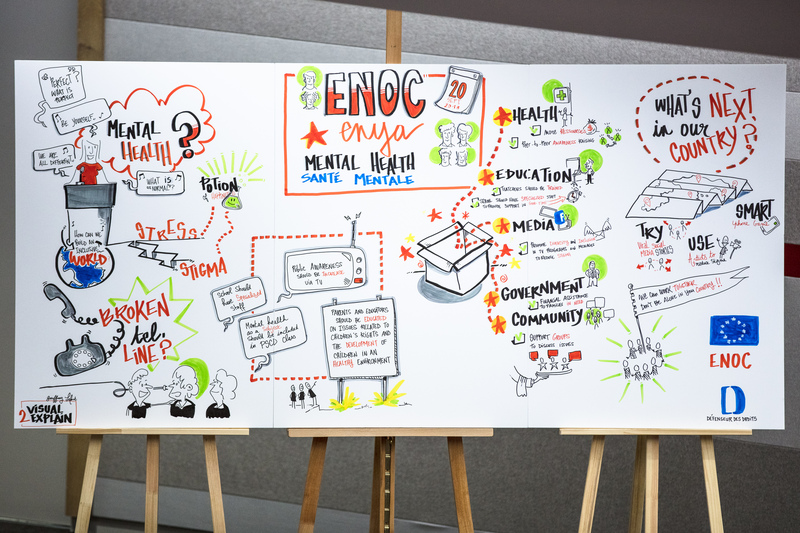 In 2018 ENOC worked extensively, through the setting up of a special Working Group (WG) led by the French Office of the Children’s Defender, on the theme of child mental health. The WG Chair elaborated a special questionnaire on the theme and collected feedback from 25 ENOC members from across Europe whose contributions have been collated and analysed in an ENOC comparative report on Child and Adolescent Mental Health in Europe. Based on the findings of the report, the ENOC WG on Child Mental Health, supported by an external independent expert advisor, Paul Gilligan (Clinical Psychologist, CEO St. Patrick’s Mental Health Service, Dublin) and after an exchange of views on the theme by ENOC members participating in the ENOC Dublin June Seminar, prepared the terms of the ENOC position statement on Child Mental Health. The latter has been discussed at a preliminary session and unanimously adopted at the ordinary session of the ENOC 22nd General Assembly held on 21st September 2018 in Paris, France. 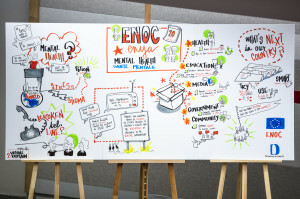 The European Network of Young Advisors (ENYA), a ENOC led project made of young advisors from ten ENOC countries/regions has worked in parallel on the same theme and has come up with a set of recommendations on child mental health that have been all added to ENOC’s 2018 position statement on Child Mental Health. In addition to the main priority issue for 2018, two ad hoc themes have been addressed by two additional Working Groups specially set up for this occasion. The ENOC Working Group on Intercountry Adoption, led by the Flemish Commissioner for Children’s Rights, and supported by Prof. Geoffrey Shannon, worked on the terms of the ENOC statement on intercountry adoption, endorsed by ENOC’s 22nd General Assembly. The ENOC Working Group on the Right to Education of Children on the Move in Europe, chaired by the Serbian Ombudsman’s Office, collected all over the year relevant and up to date data and information regarding access and effective implementation of the right to education of children on the move in Europe. The WG came up with alarming findings although some improvements have been noticed in the education process of children being on the move and addressed a set of concrete recommendations to relevant national and European/International authorities.